Leading Your Destiny for A Secured Future was preached by Sis. 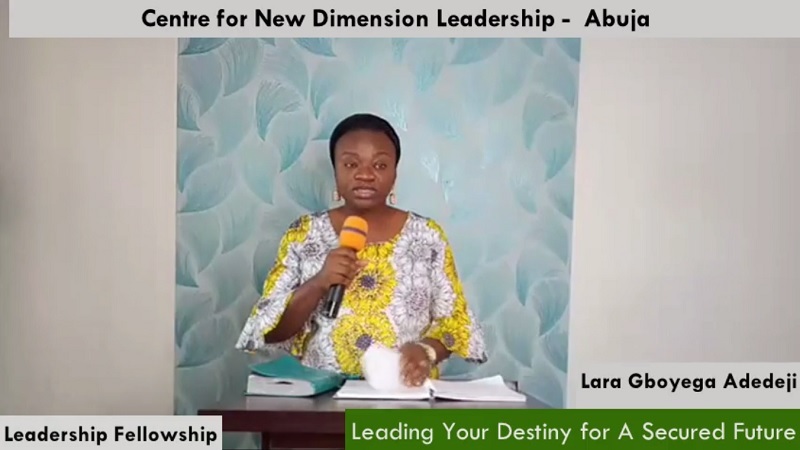 Lara Gboyega Adedeji during our weekly Leadership Fellowship at the Centre for New Dimension Leadership, Abuja. You will indeed be impacted by the grace shared!